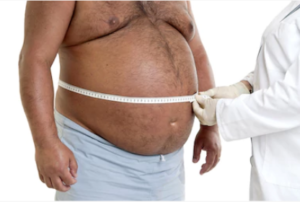 There’s a simple reason why many thin people have high blood pressure, but this reason is no excuse for obese people to deny the dangers of excess weight. Usually, such statements come from clinically obese adults on the younger end of the age spectrum. Yes, yes, thin women and men have high blood pressure. So do people with green hair, purple skin and feet as long as skis. So do fat people, short ones, bald ones, nonsmokers, runners and those who claim being abducted by aliens. High blood pressure is ubiquitous. Just because a skinny individual has hypertension from a high sodium diet doesn’t mean that obesity isn’t a risk factor for hypertension! “But adding obesity to high blood pressure presents additional health problems such as diabetes, degenerative joint diseases and others,” says Dr. Tavel. “Diabetes, even with normal blood pressure, causes the acceleration of arteriosclerosis that leads to high levels of cardiovascular diseases that are associated with strokes and heart attacks. If you’re quite large but currently have normal blood pressure, this normality is only a snapshot in time. What will your BP be five years from now, even two years, when the presence of significant amounts of excess body fat may begin kicking in? Are you waiting for the top number of the reading to get past 140 before you decide it’s time to lose weight? “Although not subject to a simple answer, I would respond by opting for the second choice, because it’s fairly easy to control hypertension in thin people with drugs and other simple measures. And as mentioned, your hefty body with all the heavy fat may currently, at the moment, have normal blood pressure. And your thin sister or friend may have high BP. But so what. Their high readings and svelte bodies have absolutely nothing to do with YOUR situation: obesity. It’s never too early to plan for your health future by taking measures now, just like it’s never too early to plan for your financial future. More details on hypertension can be found at Dr. Tavel’s page on this so-called silent killer. Dr. Tavel’s medical research includes over 125 publications, editorials and book reviews in peer-reviewed national medical journals. He was formerly director of the cardiac rehabilitation program at St. Vincent Hospital in Indiana. Can Childhood Obesity Cause High Blood Pressure? How Much Worse Is a Total Cholesterol of 1,000 than 500? 110 Over 60 Blood Pressure: Can this Ever Mean Trouble?